Yesterday, the well grown Sheltered Oak Resources Corp (CVE:OAK), (PINK:SHKRF) stock left the thick shade of the sheltering oak. Maybe two main factors resulted in OAK stock rush, thanks to which the company made the highest trading volume in its history. 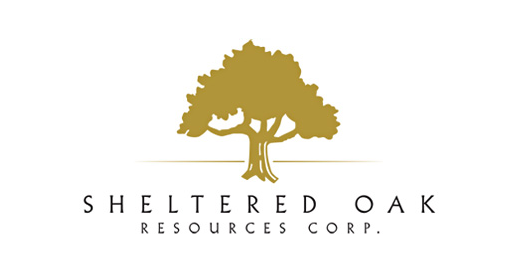 The shares of Sheltered Oak Resources Corp ended the session 40% up at $0.14 on a volume of 9.1 million shares, more than thirteen times the daily average turnover. At the end of last month, the company released the initiation of a program aimed to improve the market liquidity of the stock. One day after the official announcement, it looked like the company's market maker produced its first outcome. 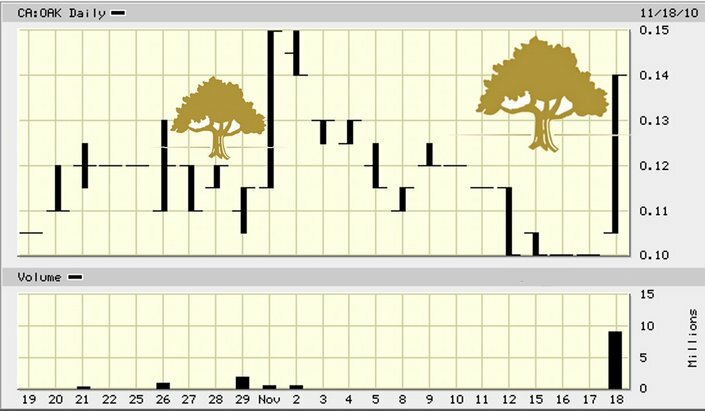 OAK stock soared more than 9%. The big pleasant for investors surprise came a few days after that, when the company's shares surged 30.43% between two sessions on no news and in higher than the average for the company trading volume. The latest news related to the company's equity financing was that announced at the end of last month. Then, the company proposed a private placement for aggregate proceeds of $189K, expected to be subscribed fully by Richbert Agencies S.A., "a non-arm's length company associated with Company President and CEO, JJ Elkin". Looks like the growing up OAK stock, like a sheltering oak for Sheltered Oak Resources Corp, grew up if not on news for a reasonable amount of raised funds for operations, then on active bids made in implementation of the company's stock liquidity program, which was maybe supported at the end by some additional and not outsourced by the company speculative interest.